Isabelle de Silva was appointed president of the French Competition Authority on 14 October 2016 by decree of the president of France. 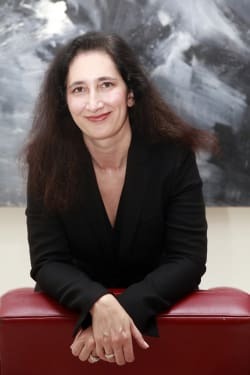 She is a member of the French Supreme Administrative Court, which she joined in 1994 after graduating from Ecole des Hautes Etudes Commerciales (1990), the Community of European Management Schools (1990), the Sorbonne University of philosophy (1989) and Ecole Nationale d’Administration (1994), the French national school for civil service. After holding different positions as auditor (1994) and then master of requests (1998) at the Supreme Administrative Court, she became government commissioner at the second and then sixth chamber of the Supreme Administrative Court (2000–2009), and was later promoted to the rank of councillor of state (2009) and president of the sixth chamber (2013). She was an adviser to the minister of culture and communi­cations, in charge of the press and the radio (1999–2000), director of legal affairs of the Ministry of Ecology, Sustainable Development, Transport and Housing (2009–2011) became a member of the sector regulator for press distribution in 2012. Isabelle de Silva is an officer of the French Legion of Honour, the National Order of Merit and the Order of Arts and Letters.